Install uPVC patio doors in your home in East Sussex and notice an immediate difference. Your property will be filled with lots of natural light, and you’ll be able to enjoy outstanding views of your garden. Improved access and market-leading security will also be guaranteed when you choose A1 Glass and Glazing to fit your uPVC patio doors. Bring the outside one step closer and make your home, orangery or extension comfortable with our uPVC patio doors. Our uPVC patio doors will blend in seamlessly with the style, age, themes and schemes of your home in Brighton, Hastings, Eastbourne, Worthing and surrounding Sussex areas. A1 Glass and Glazing will work closely with you from the moment you call to identify your design requirements, so that we can build uPVC patio doors that look and perform exactly how you expected them to. uPVC patio doors continue to be a popular choice for homeowners, perhaps because of their uncanny ability to let in lots of light. This effect is achieved through the door’s low frame-to-glass ratio, which reveals stunning vistas of the outside and illuminates the space in question – no matter what time of year it is. uPVC patio doors open to almost threshold length. This is especially beneficial if your household is busy, as visitors will be able to pass back and forth across your threshold without having to wait for other people. An additional benefit of choosing uPVC patio doors over other designs is that your room will be fully ventilated. Cooling breezes will be able to enter your living space without any impediment during spring and summer. At all other times, the performance glass in your uPVC patio doors will act as a barrier that protects you from the elements and locks heat in and makes your orangery or extension a comfortable place to spend time in. We want to install uPVC patio doors that deliver superior performance across time. That’s why we’ve chosen Deceuninck as our preferred manufacturer – a recognised innovator within our industry. Our Deceuninck uPVC patio doors look stunning today and will ensure that your home stands out for all the right reasons. Although doors designed and manufactured by Deceuninck provide a wide range of benefits, we understand that security is important to our customers. Our uPVC patio doors are internally beaded as standard for your peace of mind and are fitted with market-leading technology that meets Secured by Design standards. 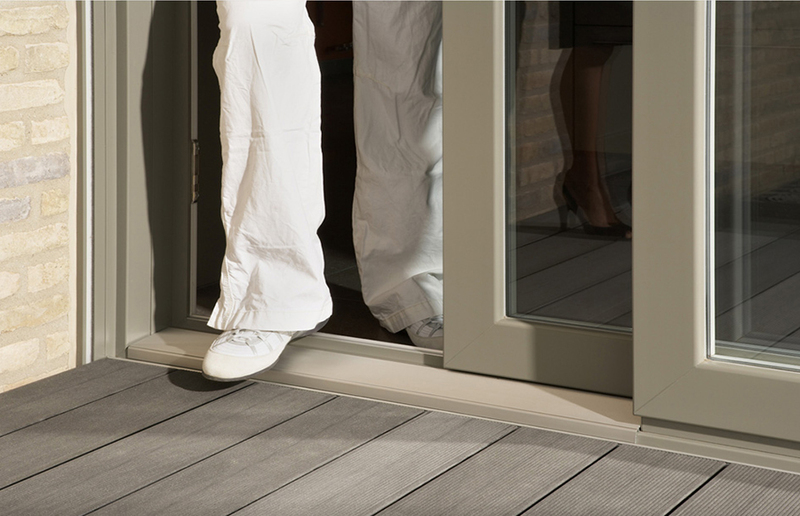 If you want a design of door that is easy to use, our Deceuninck patio range will reward you with a system that’s simple to operate. Your new uPVC patio doors will feature market-leading anti-lifting blocks and tandem rollers that will work collaboratively to produce a smooth and controlled movement. 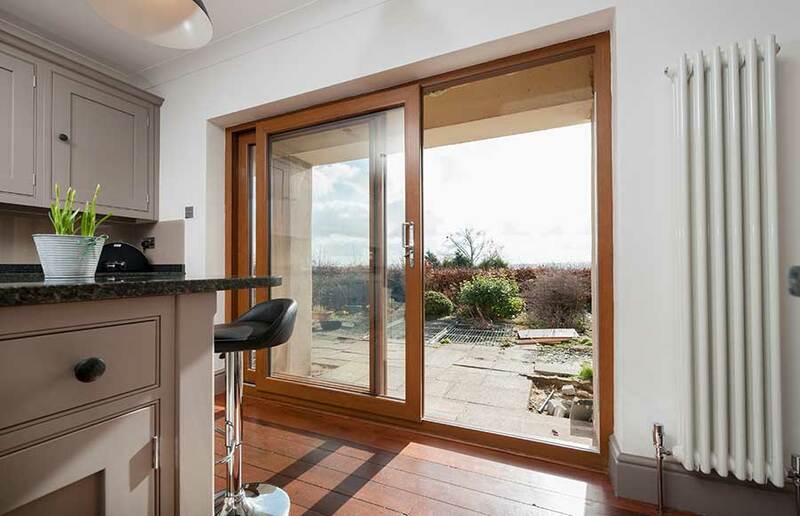 Our uPVC patio doors aren’t just easy to operate; they are space-saving too. Because they move back and forth along a dedicated track – instead of opening inward – they won’t intrude into your living space. This means you won’t need to place items out of reach and can organise your room the way you want to. 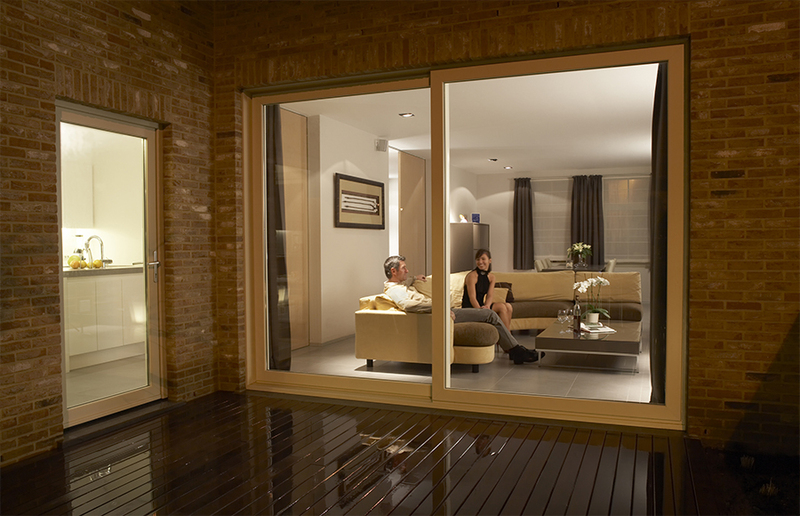 Transform your living space with our stunning uPVC patio doors, designed, built and tested by Deceuninck. Your home, orangery or extension will be washed through with plentiful amounts of natural light that will create a greater impression of space, while also joining together different areas of your home. Your property will be better protected with our uPVC patio doors, which meet stringent industry criteria by delivering exceptional levels of performance. Instead of worrying about intruders gaining unwarranted access, you’ll be able to relax and enjoy the expansive views allowed by the wide glazed area in your doors. uPVC is an incredibly strong material that won’t crack, warp or corrode in response to environmental conditions or harsh impacts. Your newly-installed uPVC patio doors will continue to protect your home and keep it comfortable for many years to come – and will be protected by a manufacturer’s guarantee as well. A1 Glass and Glazing is a member of FENSA. To remain a part of this scheme, we need to provide a high-quality of service and products that meet a high standard too. This means you can buy from us with confidence. Contact us for more information by calling 01273 676750 or sending us a message. For uPVC patio doors prices, please visit our online design tool, which you can use to generate prices for other double glazed products.